What Do People Listen to and Create Podcasts? The world of podcasts and podcasting first came to the public's attention in the early 2000s when portable media devices such as iPods were ubiquitous. They continued to expand and strengthen with the popularity of smartphones. In mid-2018, more than half a million mostly free podcasts are available in more than 100 languages. Podcasts are digital media files, most often audio, but they can be video as well, that are produced in a series. You subscribe to a series of files, or a podcast, by using a podcasting application called a podcatcher. You can listen to or view podcasts on your iOS or Android smartphone, another mobile device, or computer. Podcatchers such as iCatcher, Downcast, Google Podcasts, and Apple's Podcasts app are popular because they are designed for use with smartphones, which makes podcasts accessible to everyone with a compatible device. Podcast listeners often tune in while driving, commuting, walking, or working out. If there is a particular show or series that you are interested in and subscribe to, your podcatcher can periodically check to see if any new files have been published and if so, can automatically download the file or notify you of new content. Podcasting attracts people who want the ability to choose their content. Unlike radio or television broadcasts that have set programming at certain hours, you are not locked into programming on any schedule. If you are familiar with TiVo or other digital video recorders, it is the same premise, in which you select the show or series you want to record, enable the recorder to download those programs, and then watch whenever you want. Many people like the convenience of having fresh material loaded on their devices automatically. Podcasts are also a great way for people to listen to content that is of a particular special interest. For example, there may be a show about collecting glass beads, dressing for Comicon, or perfecting your rose garden. There are thousands of podcasts on these and other highly specific topics along with communities of people who listen, respond, and care deeply about these areas of interest. 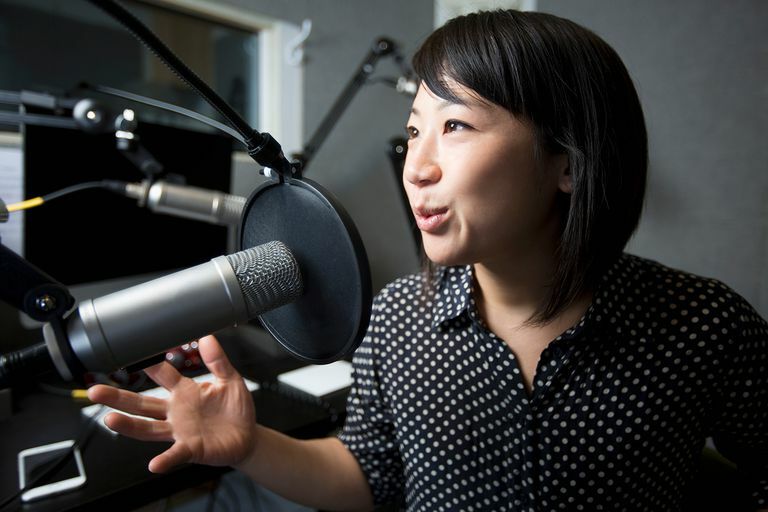 Same listeners consider podcasting as an alternative to commercial radio and TV because the low cost of producing a podcast allows more voices and viewpoints to be heard. Also, unlike TV and radio, which produce programs for mass consumption, podcasts are “narrowcasts,” where only those interested in a certain topic seek out programs and sign up to listen. These are topics that most often can be considered too obscure for traditional broadcasters to cover. Anyone can be a podcaster. Podcasting is an easy and powerful way to communicate your ideas and messages. You can potentially reach anyone with a broadband connection who is searching for podcasts and subscribes to your show. People who start podcasts usually want to deliver their content in a series spread out over time. There is minimal equipment and start-up costs if you already own a computer, so podcasting allows anyone who ever dreamed of owning a radio station the chance to transmit their ideas far beyond the reach of a radio transmitter. Podcasters often start shows with the intention of building online communities and often solicit comments and feedback on their programs. Through blogs, groups, and forums, listeners and producers can interact. Businesses and marketers have started podcasting as a less expensive way to advertise to groups with specific interests. Many large companies are starting to produce podcasts to communicate with their customers and their employees.